Meet Mang Indra, our best bet for ketoprak in the neighborhood for breakfast. 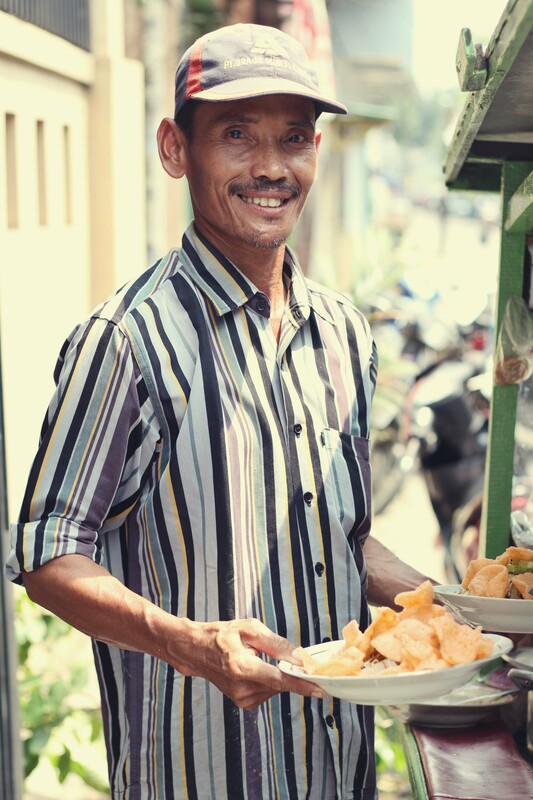 For many years he’s been selling ketoprak in front of my wife’s house every morning from 9 to 11 and has been her family regular. Despite his modest look, I found out that he’s a generous person as well. In an event that I cannot disclose, he donated a relatively large amount of money without many people knowing.